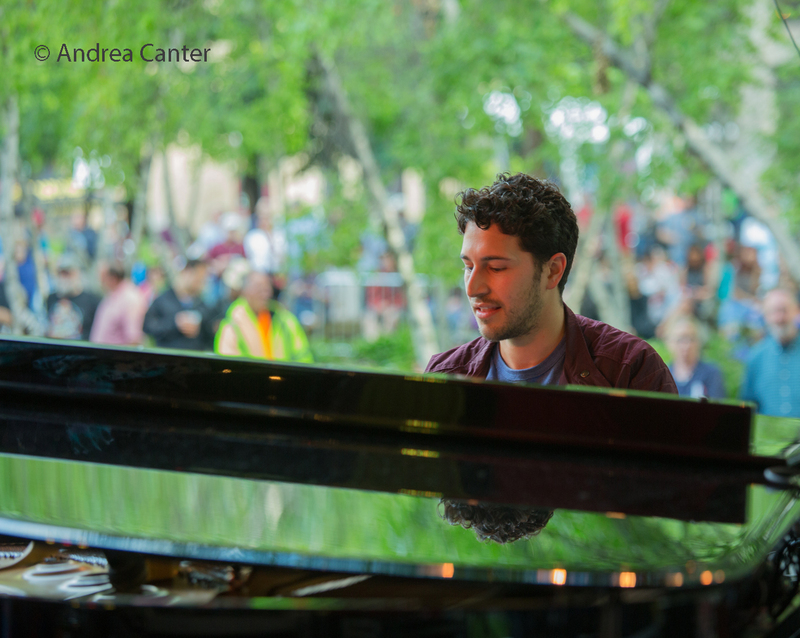 One of the fast-rising talents on the national jazz scene, pianist and B-3 specialist Emmet Cohen first visited the Twin Cities last March, performing in the Dunsmore Room with the Brian Lynch Quartet and with his trio at Jazz Central. 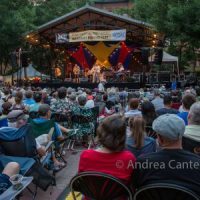 By “popular demand,” Emmet was invited back to Minnesota to perform, with his trio, at the Twin Cities Jazz Festival at Mears Park in late June. 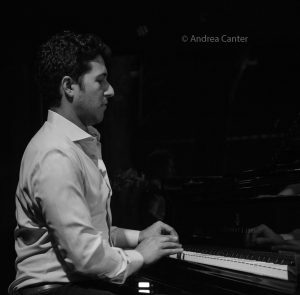 On tour this fall with his trio, Emmet Cohen returns for two gigs and a workshop: The Emmet Cohen Trio with Russell Hall on bass and Evan Sherman on drums performs in the Dunsmore Room on Sunday, November 12 at 7:30 pm. 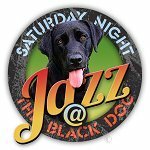 On Monday, November 13, Emmet Cohen presents a B-3 Organ clinic at Jazz Central at 6 pm, and later that evening, joins Sherman in a B-3 duo performance at 8:30 pm. 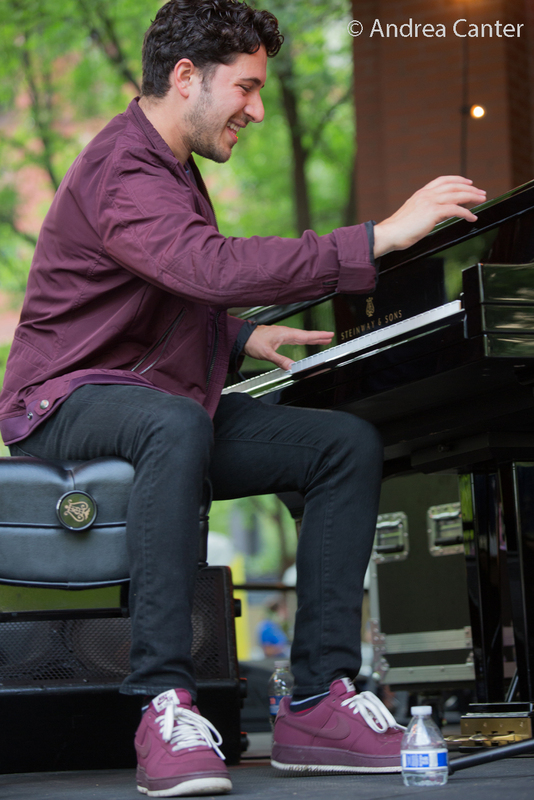 For the young Harlem-based jazz pianist Emmet Cohen, 2017 has brought a maelstrom of activity that shows no signs of dissipating. 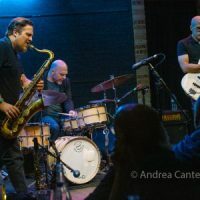 On the heels of his tremendous new recording, Masters Legacy Volume 1, Featuring Jimmy Cobb on Cellar Live Records, Cohen has balanced a slew of shows around New York City, including CD release performances with Mr. Cobb and taking his own working trio out on the road. After hitting the West Coast and Pacific Northwest in February, Cohen, along with bassist Russell Hall and drummer Joe Saylor, spent March crossing the Midwest, including stops in the Twin Cities. Throughout 2017, Cohen has worked with bassist extraordinaire Christian McBride’s new group, Tip City. When not on tour, Emmet maintains an active itinerary in New York, and has become a regular performer at Smalls, Smoke, and Minton’s, among others. 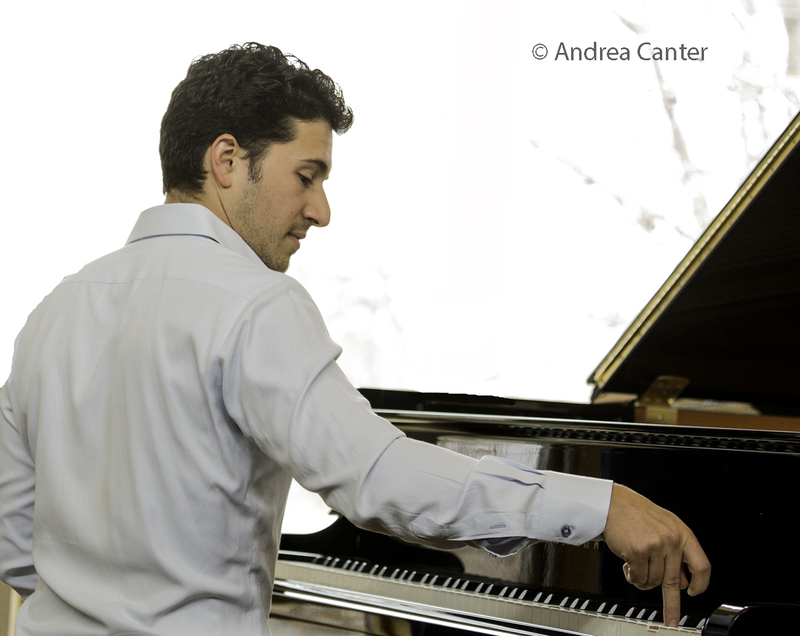 Still in his late twenties with degrees from the University of Miami Frost School of Music and Manhattan School of Music (MA), Cohen has garnered growing attention since 2011 when he was a finalist in the Monk International Piano Competition and Cole Porter Fellowship Competition, won the Phillips Piano Competition, and released his self-produced debut recording In the Element, with bassist Joe Sanders and drummer Rodney Green. He raised his profile even further, winning the American Jazz Pianists Competition in 2014 and again placing as a finalist in the Cole Porter Fellowship competition in 2015. 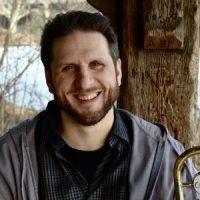 He also co-led the recording Questioned Answer (2014, Hollistic MusicWorks) with Grammy Award-winning trumpet player Brian Lynch, and recorded with Herlin Riley’s group on New Direction (2016, Mack Avenue), albums that showcased Cohen’s ability to play incredibly nimble and nuanced lines without sounding overly busy or abstruse. 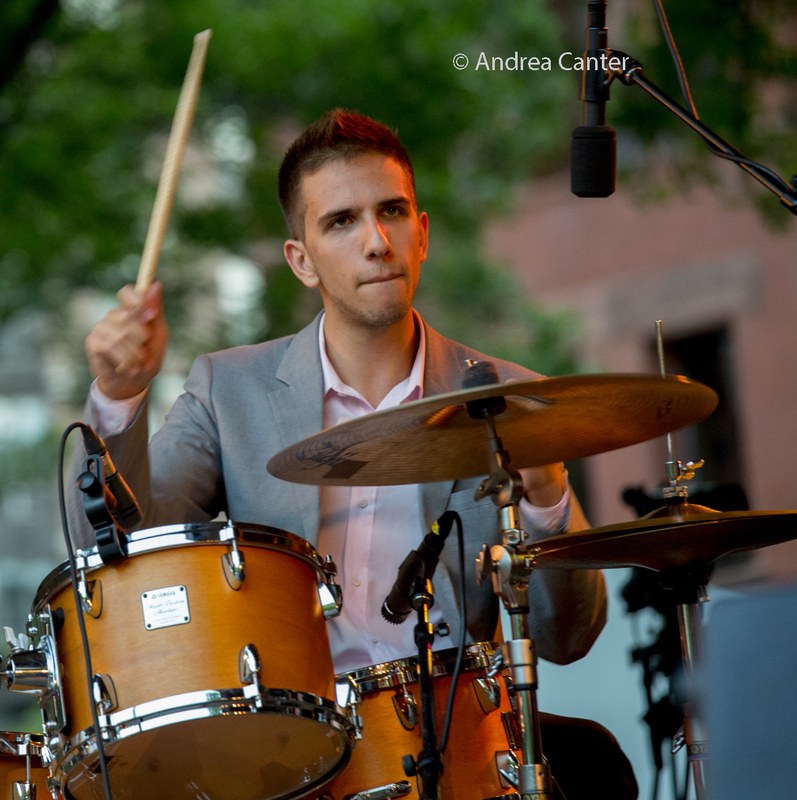 In addition to McBride’s new group, Cohen currently tours with the Ali Jackson Trio and Herlin Riley Quartet, and is clearly motivated by what each performing opportunity will bring in terms of continual musical expansion and growth. With his Masters Legacy Series, Cohen has set out to collaborate with jazz’s living legends on a series of recordings for which he serves as both producer and pianist. The goal is to provide musicians of multiple generations a forum to transfer the unwritten folklore of America’s unique musical idiom. Cohen has observed that playing true jazz “is enriched immeasurably by connecting and studying with jazz masters, forging backward to the very creation of the art form.” Volume One of the “Masters Legacy Series” features drummer Jimmy Cobb (2017), and the upcoming Volume Two spotlights bassist Ron Carter. Talk of a project with saxophonist Jimmy Heath is in the works. Despite his youth, Emmet Cohen is already heavily immersed in jazz education. An alumnus of the YoungArts Foundation, he now produces and directs multidisciplinary high school YoungArts programs nationally, including creative writing, theater, dance, visual arts, cinematography, music, voice, and jazz; Cohen keeps busy designing student curricula and selecting master artists as teachers and mentors. He also visits 50 schools yearly through Jazz at Lincoln Center’s “Jazz for Young People” program and regularly presents jazz history and performance lectures. 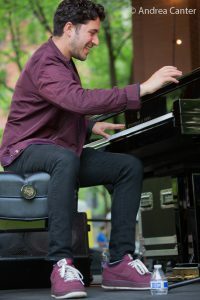 With the likes of Cohen and his contemporaries, such as Gerald Clayton, Glenn Zaleski, Nick Sanders, and Sullivan Fortner, the future of jazz piano appears to be in good hands. 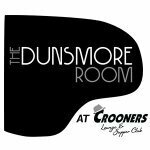 The Dunsmore Room at Crooners Lounge is located at 6161 Highway 65 NE (Central Av) in Fridley, just north of I-694 and about 15 minutes north of downtown Minneapolis. Reservations encouraged at www.croonersloungemn.com; tickets $25. Jazz Central Studios is located at 407 Central SE in Minneapolis. B-3 Clinic $10 — included in purchase of ticket for the evening show ($20). 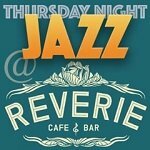 Advance reservations for the evening duo performance are available for at http://jazzcentralstudios.org or at the door.